At Northside you are family! You will discover the refreshing difference that being a part of a church like ours can make. We are large enough to offer you exceptional opportunities for involvement and growth while being small enough to get to know you personally. Here you will make life-long friends and make a life-changing difference in our community and world. Northside is community focused. 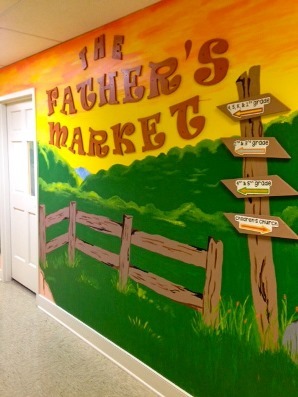 You are sure to enjoy our nearly 1/2 mile community walking track and our community playground created in Spring 2010. The grounds offer an abundance of green space for you to enjoy outdoor activities. We offer a volleyball court as well as a basketball half court to help you improve your shot! There is even a covered shelter that your family can reserve by calling the church office. Families that play together and pray together stay together! You’ll find our sanctuary to be beautiful and conducive to worship. Our people are warm and friendly, imperfect but filled with hope and a desire to be all we can be with the help of God. Our worship is positive, uplifting, and inspiring. Our pastor will make you laugh and make you think. Children of all ages love his children’s sermons and his zany cast of ventriloquist characters who regularly interact with the children. 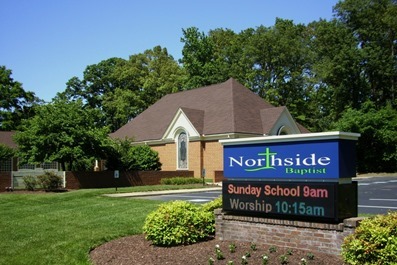 At Northside, children and youth enjoy a balanced program of Bible study, service to others, and fun. Our desire is to build character and faith in the lives of our young people. We seek to partner with parents to help spiritual development happen at home as well as in church. Northside cares for people. We distribute over two tons of food per month through our Loaves and Fishes food ministries to the needy in our area. We are always finding new ways to make an encouraging, joyful, and compassionate difference in Mechanicsville, Virginia, and the world. Join us!